Handmade 100% cotton blankets & throws. Perfect for the beach & the park or as cosy throws for your bed or sofa. In a range of heritage & geometric designs. With summer just around the corner, now’s a great time to invest in a hammam towel. Lightweight and fast-drying, these Turkish towels can be used in a variety of ways. Much easier to transport than their terry towelling counterparts, we’ve seen them being used as a beach towel, sarong, scarf, throw, table cloth, picnic blanket or even gym towel. Traditionally they were used in the super-hot hammams (Turkish baths) and therefore needed to be hard-wearing and good at drying in humid conditions – you’ll find they’re still made in the traditional way to this day. Our Tribe Towel has a double-sided, reversible finish, which sets it apart from the rest, with more choices for how to enjoy it. It will dry quickly by the pool or beach side, and can warm you up on chilly nights. Wear it as a sarong over your favorite bikini, or throw it over your shoulders to enhance any outfit. The Micro Towelling Travel Towel is a versatile product, great for travelling to swimming. Five times lighter than a standard towel, it dries three times faster too making it perfect for use on the road. This very soft, fluffy bathrobe is 100% polyester and great for snuggling up in whilst relaxing in a hotel room. Snuggle down in comfort around the house or after-shower routine. It is lovely light but cozy bathrobe. One size, generous fit as found in hotels featuring a shawl collar, attached belt and pockets. Oz Ra offers an impressive collection of super soft fleece dressing gowns. Wrap your baby up all warm after their bath with this soft touch hooded towels. With their tactile, soft cotton fabric and pretty cute design, this great value set is a lifesaver for whether you're getting them dry or wrapping them up in snuggle style. Our combed cotton toweling bathrobes with hood draws water away from kid's skin and hair. Baby infant cotton bibs are the perfect to help your keep growing children well fed and satisfied without the stress and mess. Add some luxury to your shower or bath time with our great quality towels and bathmats. You will find what you're looking for with reds, greens, blues, browns and loads more. Or simply choose by category and find inspiration among our choice of bath mats, shower mats, face towels, hand towels, bath towels and bath sheets. No matter what you're looking for, there's a range to suit every budget, from our value range right through to our high quality 100% Turkish cotton towels. Our traditional Turkish hammam towels are made from 100% cotton and finished with hand-tied tassels. Turkish bath towels are elegant, durable, soft, light and quick-drying. Their size and attractive designs make them suitable for use far beyond the bathroom for a versatile summer accessory. 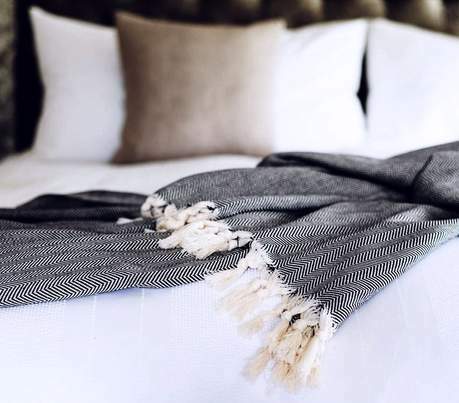 Those hand loomed towels are flat-woven without the conventional loop/pile construction, they trap less allergens and are ideal for allergy sufferers too. Our hammam towels are original Hand Made. We use Turkish eco-firendly cotton in our towels. Hand size and large bath size available. Soft and elegant feeling gives you comfort at home and beach. Most of the models are created by our designers. This traditional peshtemal is combination of premium cotton and the traditional weaving technique that creates a soft, absorbent and long lasting product. They’re quick drying and compact, and double up as both a beach towel and sarong. Hammam towels also make the perfect travel, boating and bath towels. You can also use as a beach dress, wrap or snug.